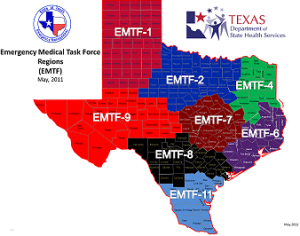 The creation of the regional Emergency Medical Task Force (EMTF) teams is a ground breaking journey for the State of Texas and each region. Each region’s level of success depends on the support and collaborative planning efforts with EMS and hospital administrators, their professional staff, Public Health, and other emergency response professionals. The goal of the Texas EMTF program is to provide a well coordinated response, offering rapid professional medical assistance to emergency operation systems during large scale incidents. Developing the plan to respond on a state level also provides the capability to respond on a regional level, when needed. Participating agencies and personnel will interact with others across Texas, using the Incident Command System and the Texas Interoperability Communications Plan (TICP). When the EMTF program was developed, careful consideration for organization was taken. Regional Advisory Councils (RAC’s) have both hospitals and EMS agencies in their membership and are charged with developing disaster response plans for acute healthcare emergencies. The EMTFs were organized around multi-RAC regions to leverage the capabilities of several trauma systems. The partnered RACs then selected a “Lead” RAC to be responsible for the equipment purchases and general organization of the EMTF. 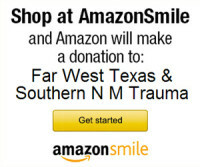 The Emergency Medical Task Forces are part of a much larger statewide public health and medical response system known as the Texas Disaster Medical System (TDMS). 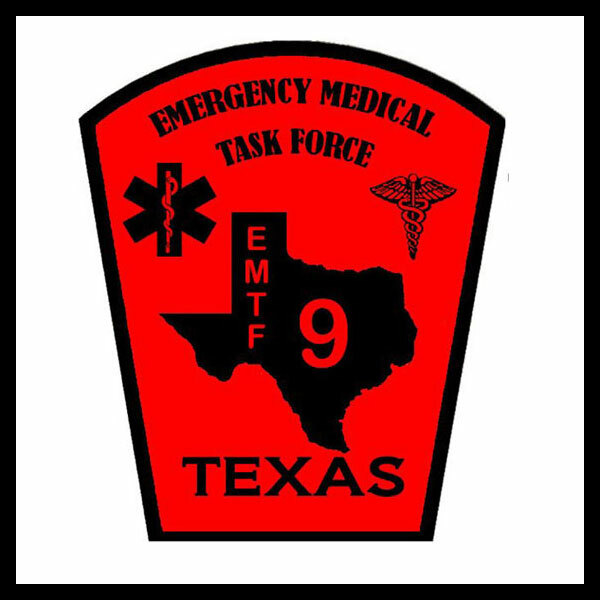 If you have any questions regarding the EMTF program please visit www.TDMS.org or send an email to Martin Dominguez at martin@borderrac.org.